Being the historically most imposing Czech town, Prague is also at present an exciting, vibrant city. It is a European center for Jazz and alternative Rock, as much as it is for classical music. 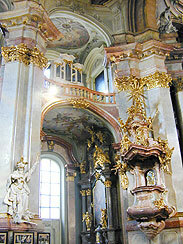 On display in Prague galleries are works of arts from all parts of Europe, and of all epochs. Prague is known for its large variety of entertainment sources, from theatres and concerts to dance clubs, pubs and festivals. 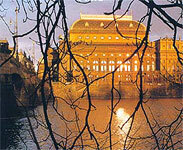 Of the many regular cultural events, the Prague Spring Music Festival is famous world wide. The festival features outstanding performing artists, symphony orchestras and chamber music ensembles of the world. The festival commemorates important musical anniversaries by including works by the composers concerned on its programs, and presents Czech as well as world premieres of compositions by contemporary authors.